Synopsis: The service sector of the economy from retailing to airlines, freight forwarding to information services, sport and leisure to advertising is a field of growing interest to marketing teachers, researchers and practitioners. 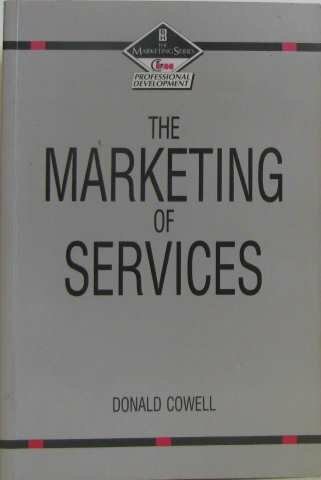 This book, now in its second edition, presents in an introductory and structured way some of the current thinking and ideas relating to the marketing of these services. Most marketing textbooks concentrate on the marketing of tangible rather than intangible products. This is the first text to apply and adapt current ideas in marketing, developed for a product-orientated market. Don Cowell, a graduate of the University of Leeds, worked in the Engineering Industry with the Chloride Group before undertaking postgraduate management work, specializing in marketing, at the University of Bradford Management Centre. He worked at Loughborough University and Plymouth Business School before taking up his current post of Barkers Advertising Dean of Birmingham Polytechnic Business School, one of the largest Business Schools in the UK. Professor Cowell has acted as a consultant to many national and international businesses and organizations on Marketing and Business Education. He holds a number of appointments including Chief Examiner of the Chartered Institute of Marketing as well as Chairman of MEG (Marketing Education Group) the national network of Marketing Educators.